Over the years it has been hard to keep up with how you are meant to earn Avios when purchasing foreign currency. 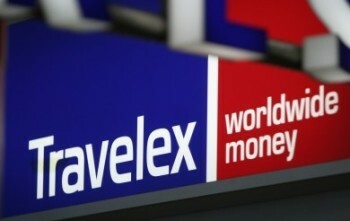 At some point British Airways has had deals with Travelex, Moneycorp and American Express. Dropping Travelex for American Express turned out to be a mistake, as Travelex took over the American Express desks in Terminal 5. Avios and Travelex are now best buddies again. You can earn Avios points when you pre-order foreign currency via the Travelex website for collection at the airport or delivered. Travelex lets you pre-order over 40 currencies and collection is available with as little as four hours notice. It is good to see that pre-ordering is required. The walk-up exchange rates at Heathrow are, frankly, shocking and you should never exchange money without ordering in advance. You will receive a substantially better rate this way. The ability to credit to Iberia Plus makes this an easy way of activating an Iberia Avios account if necessary. You cannot move Avios in or out of an Iberia Plus account until the account has ‘earned’ 1 Avios point. I’ve not ordered foreign currency for ages and in a time of 0% commission it won’t happen soon. Travelex is charging ~4% so it is not exactly cheap Avios. Depends who is paying …. Also the travelex rate of exchange is lower than can be found elsewhere. If you do buy from them make sure you put your BA number at time of ordering in because you wont get credited for it. The above is a good starting point for many curriencies. If you are in the vicinity of the Bayswater Rd then most of the little “souvenir” shops have a bdc tucked away at the back and from several, you can get spot rate on $US. Likewise around Paddington. Victoria is not so good now! Get a decent piece of plastic and stick it into the wall or cashpoint at your destination. Pay off billed transaction asap. Do not pay > 3p per Avios when they are only worth about 0.5p -subject to devaluation of course. @Shoestring – I have a Halifax Clarity Mastercard which I mainly use when abroad. I can’t see any offers. Do you know where they would be or are you talking about a current account rather than a credit card account? Except for those pesky lenders. They do see even 50-100 cash withdrawal on Halifax Clarity — as a problem with your finances! Experian credit rating drops because of that, and some lenders cite that kind of cash withdrawals as reason to decline credit limit increases. I believe that to be true. My wife took out a couple of £hundred without telling me & it had no effect that I could see, though otherwise we just use it for purchases (cash coming from our bank a/c out at the place in the sun). But how many people take out cash @ATM abroad on their debit card? I saw the fees on our Halifax current a/c debit card and it was horrendous, something like £1.50 per transaction plus 2.99% fee from memory. Have GBP£10 cash in the back of the wallet and everything goes on a point’s earning card. Not sure there’s such a big call nowadays for changing money like in my parents day. We usually ensure we have a bit of cash in local currency – saves scrabbling around looking for cash point on arrival and gives some notes for taxis and hotel tips. You’ll often get charged a usage fee for local ATMs anyway so you need to factor that in. Travellex pre-order rate is decent enough and airport pick-up is convenient. If you’re changing a couple of hundred quid then +/- 2% isn’t really here nor there, is it? There are still countries where you can’t pay with a foreign credit card or which have closed currency and little acceptance of cards outside hotels. Cash it still king on holiday for me (as much as I wish it wasnt). Especially when holidaying in Europe or in Japan. Many smaller shops and taxis dont take credit cards and there is never a cash machine when you need one. Hotel, hotel spend, car hire and petrol goes on Amex. Everything else usually cash. Can you still collect your cash at Heathrow and earn Heathrow Rewards on top (and trigger 3000 point sign-up bonus)? Travellex/ HR points are always problematic, even if you put your HR number in when ordering and present the card when collecting they only seem to post about half the time. Ordered some currency earlier this week. After checking several providers, went with the Post Office : was about 2% better rate than Travelex. +1 for the Post Office and it’s a good use for all the spare cash withdrawn on Curve! And our PO accepts amex cards, some dont. Also has the best rate locally. I’ve always found John Lewis to have the most competitive online rates, even compared to the Post Office. Free delivery to home, Waitrose or John Lewis. 1% back for using the John Lewis credit card makes it even more competitive as they treat it as a purchase. I always carry a bunch of 0% FX fee cards with me but last month at Las Vegas the border officer didn’t like me having just $200 in cash despite telling him that hotel was prepaid (points redemption) and I had a return flight 4 days later. I found that most of the ATM fees in Las Vegas were at the top end. An $8 fee per withdrawal wasn’t uncommon. $5 on the first ATM I came across after passport control still inside the airport. Is it still $3 in New York? Chase ATMs sometime are free for me to withdraw from in the USA but they weren’t in New York in September. Little machines in convenience stores tend to be cheaper than main banks though. Weird. I’ve arrived many times with $20 or there about. Who bothers with cash. Just taken my curve card to Washington with me – First time not taking cash abroad and I won’t bother with cash again. I will probably take a little bit of currency ( 30 Pounds worth) in case I need it. Don’t rely solely on Curve. Have a backup card somewhere since Curve is a bit temperamental. So you won’t bother taking cash again but will take a little bit of cash just in case not taking cash proves a problem? Silly response Mrs E. Clearly ‘taking cash’ refers to taking significant amounts to pay for things, arranging a wad of cash in advance. There’s an expectation of some understanding of the everyday use of language. In the land of tipping all and sundry you need some cash. For myself I usually have some left over from previous trip, and draw from an ATM when there, for tips and of course exotic dancers. But anywhere there is a machine you pay on a card. I trust that the ed’s went on expenses !! Thank you Doug – that’s what I meant. I’ve never been asked how much cash I’m carrying! It was the first time I was asked such question. The guy was a jerk to us because my OH and I had filled a customs declaration form each instead of presenting just one. We usually do so because we don’t have the same surname and some officers are thick and can’t/don’t want to understand that. He said that we should learn to read and more nonsense. To make it more interesting he sent us to the counters where they go through all your bags. I guess I can’t complain much because at least he didn’t send us to a dark room with someone ready to perform a rectal examination on us. Just confirms again how glad I am I just paid for Global Entry renewal! Then surely you could have gone to the counter separately? It’s not uncommon for CBP officers to want to ensure you have sufficient financial resources to pay for your stay, but IME as long as you have plastic with you, you’re fine. I once asked a CBP officer if they would prefer it if I carry enough cash on me to pay for my stay with cash and they said no – and that if anything travelling with lots of cash is likely to make them more suspicious, not less. Wow, never heard of this. I’ve been in US many times over the past few years (always with work) and never asked me about any cash. I travel most places without cash. Exception was China and Egypt. I arrived in Nashville two weeks ago with my girlfriend and $0 with us. We weren’t asked. How was Nashville would you recommend it? Personally I really liked it. Grand Ole Opry at the Ryman wasn’t worth the money – weird setup where they read the adverts out during the show (as it’s also live streamed) and a lot of the acts seemed to be past their prime, but great bars and restaurants nearby with a fantastic atmosphere during the day. Also very pleasant to walk around the State Capitol building and nearby market, etc. Used a Hilton VISA free night cert and got a superb room, nice bar food too. We loved Nashville – the Grand Ole Oprey was fab – we loved the set up with the live streaming and adverts – the guy doing the comparing was hilarious and some of the acts were amazing. Also got tickets for the Bluebird Cafe (if you watch the Nashville TV show you will love it). Also visited the lovely wee town south of Nashville – Franklin – lots of celebs live there apparently – really nice though. Lived in the US for 10yrs. Visited over half the states. Loved Nashville. It is without doubt one of the best places I visited. If you are ever in that neck of the woods (Memphis, Carolina’s etc) it is well worth a visit. Used Travelex a couple of weeks ago and paid with Amex when collecting. This time it got charged by Amex as a cash advance. Also can’t pay by Curve. Does Post Office forex count as cash advance by Amex? I thought all cash FX credit card transactions were charged as cash advances, that is what they are, after all! Apart from Halifax Clarity ATM cash advances, which are subject to special Ts+Cs. Not sure how they make any money out of that, though. Particularly in Germany, where ATMs are in the habit of charging card issuers €5 a shot, even though it does not get passed on to the customer in many cases. So I’d be paying at least 2p per Avios compared with high street names. Just don’t see any sense in this. Clearly you pay for your own currency then, unlike many of our readers. At work, I still wouldn’t do it. I know for sure, its not just me. Agree, even if work are paying, I treat it like my own money. Maybe it’s because its a small company (150 people). Maybe working at multi nationals, you care less? How many will take wads of cash on a business trip though? Would imagine pretty uncommon nowadays given widespread acceptance of plastic. Surely the best bit is being able to order it in the morning and pick it up at the airport, saves me wasting my lunch break in a queue. Your link says home delivery is free on orders over £600 not £500. Still having your pants down though. As you said Shoestring you have to be sure you can claim the costs back or be happy to write off the expense. I can’t claim for most of my work travel expenses because I can’t justify working in a hotel room writing when I have a perfectly acceptable office in the UK. Fortunately earning and spending points offsets the costs. Also depends on your company. I had years when I was UK based but travelling a lot abroad with hefty foreign expenses that the old corporate Amex didn’t always cover, followed by years living abroad working for the same company when I was also reimbursed in GBP for non-Amex expenses. Never once did some beancounter ask me to justify the exchange rate on the day I was claiming (I guess they could look it up to see I was in the right ballpark). Never once did I falsify my expenses, though I was admittedly very generous with meals & drinks for business purposes. Or they were, I suppose you could see it that way. Good levels of trust. OT Eurostar have just launched “Eurostar Currency Card Mastercard”, offering €20 credit if you load at least €200. I assume it has all the downsides of revolt, without the upsides – https://www.eurostar.com/uk-en/deals/eurostar-currency-card – anyone found any good/bad bits in the T&Cs? Are there any places which let you buy cash and pay with the currency of the cash you are acquiring? So if I wanted some CAD, is there somewhere I could order some and then pay in CAD to get it? Yes it’s what I meant but I guess I oversold it. Where can I perform a withdrawal of CAD or another currency in London? I know some ATMs give EUR and USD but I haven’t come across any other currencies. These tend to be just banknote vending machines that charge you in your card’s currency. There was an Ulster Bank euro ATM at Bishopsgate London which genuinely dispensed euros but that was dismantled. I believe some of the multi-currency ATMs allow you to do that, but you’re unlikely to find ATMs dispensing much other than EUR or maybe USD.